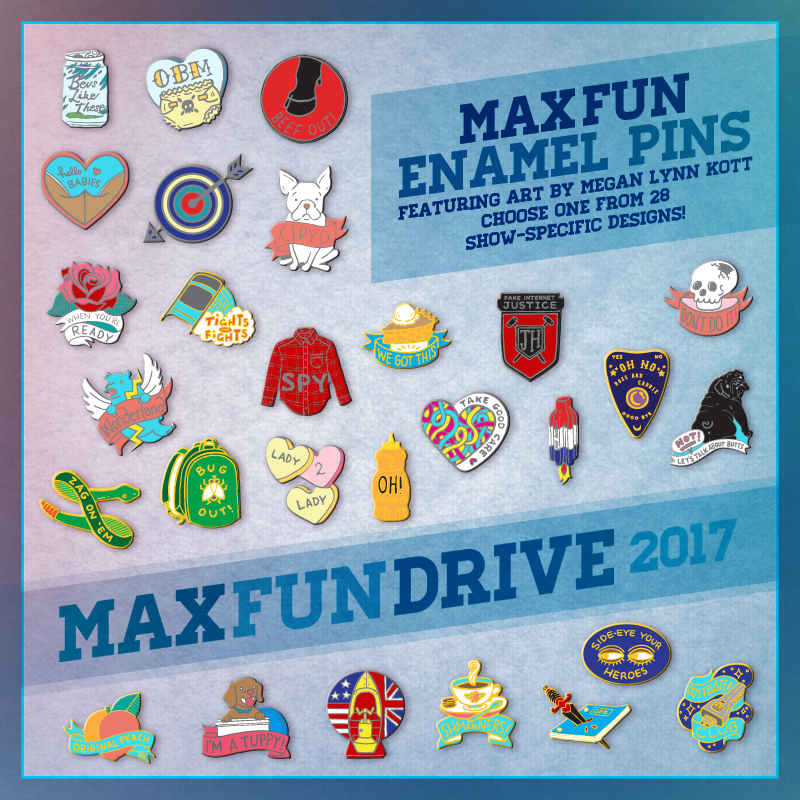 MaxFunDrive 2017: Day 5 Update! GOAL? SMASHED! Can we hit 20k? 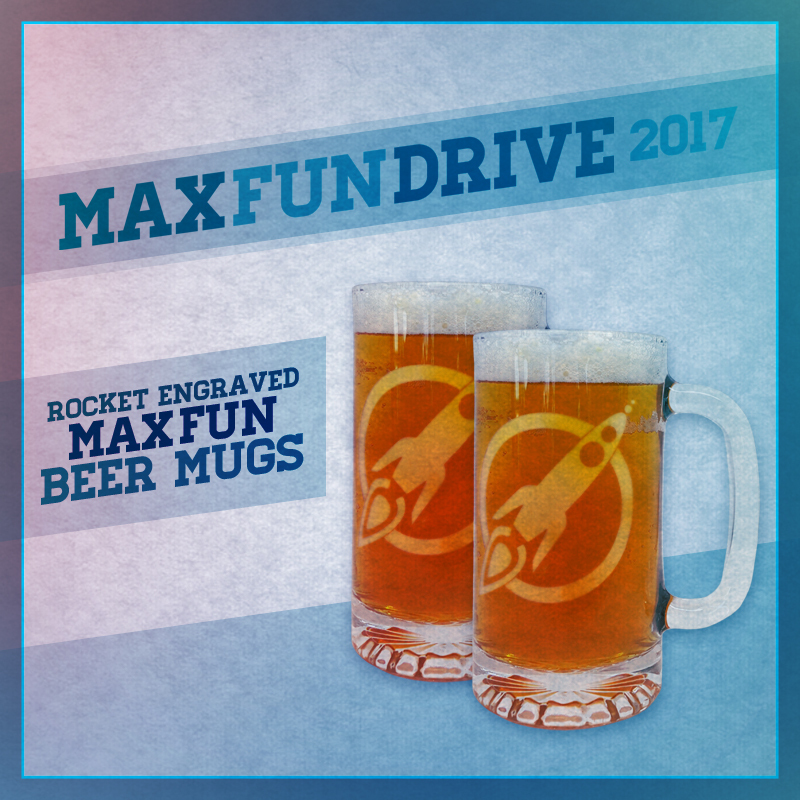 It's only Day 5 of the 2017 MaxFunDrive, and we've already DESTROYED our goal of 10,000 new and upgrading monthly members! We're so thankful to everyone who already stepped up and joined or upgraded their membership during the drive. This is, by far, our most successful year yet, and we're amazed and humbled by your support. Thank you! Saying "hey, thanks," is (always) priority one, but we wanted to give you a couple of quick updates, too, since we've passed such a major milestone! 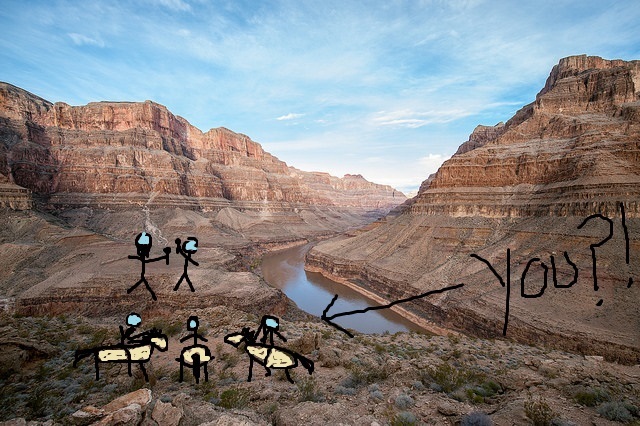 If we hit our stretch goal of twenty thousand new and upgrading donors, we will stage history's greatest podcast spectacular: a live podcast taping at the Grand Canyon. In the shadow of nature's grandeur, MaxFun hosts Erin Gibson, Travis McElroy, Jesse Thorn and Stuart Wellington will jape and jibe, to the delight of a live audience. All will be welcome to attend this epochal podcasting event, but five lucky individuals will be able to do so in true MaxFun style: every MaxFun supporter will be entered into a drawing to win one of five dream trips to the show, including a luxury bus ticket and two-star accommodations at the Motel Six in Williams, Arizona. To top it all off, each winner will also receive a complimentary burro rental for the arduous journey through the canyon. One of the most amazing things about our listeners is you are scattered all around the world. A friend in every corner of the globe! One of the biggest bummers about our listeners is, with you all scattered around the world and in every corner of the globe, it's basically impossible to look every single one of you in the eye and express our gratitude in person. We recently got the chance to meet some amazing LA MaxFun members in person. By being just a teeny bit duplicitous, we were able to surprise them with some of their favorite MaxFun hosts and were able to convey (face-to-face) the message we want to share with all of you: thanks. We showed you Jesse meeting Lydia on Monday, and on Wednesday, we posted Pop Rocket's Guy Branum and Karen Tongson meeting Amelia. Today, watch Ross and Carrie meet Deven! Keep an eye out for more of these as the pledge drive continues! DO YOU KNOW WHERE YOUR MEETUP IS? Don't forget! 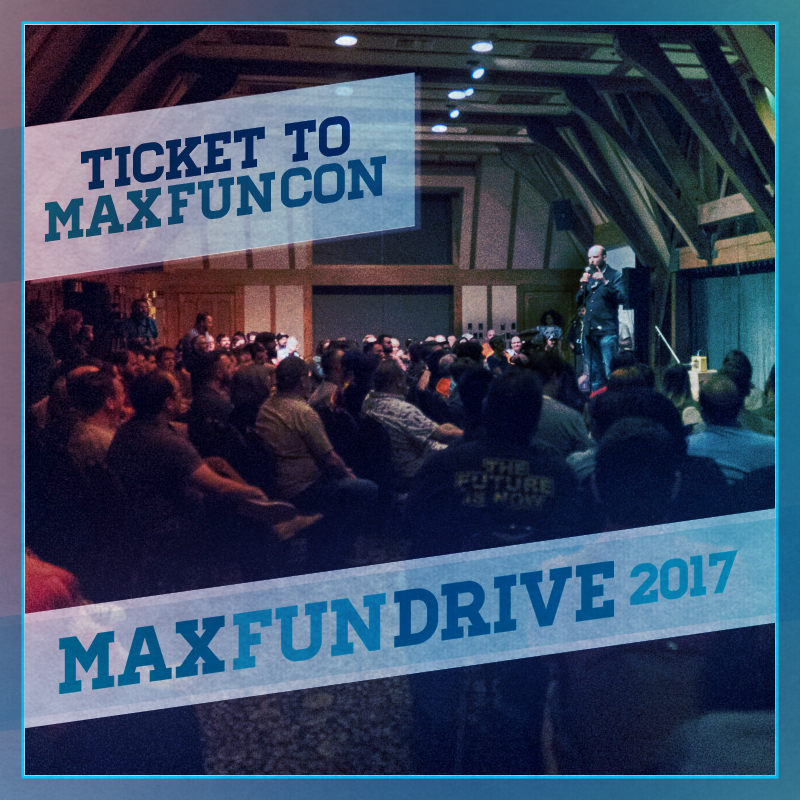 MaxFun Meetup Day is next Tuesday, March 28th at 7:00 PM local time! You can see all of the meetups already on the agenda here. If your area isn't represented yet, don't fret! 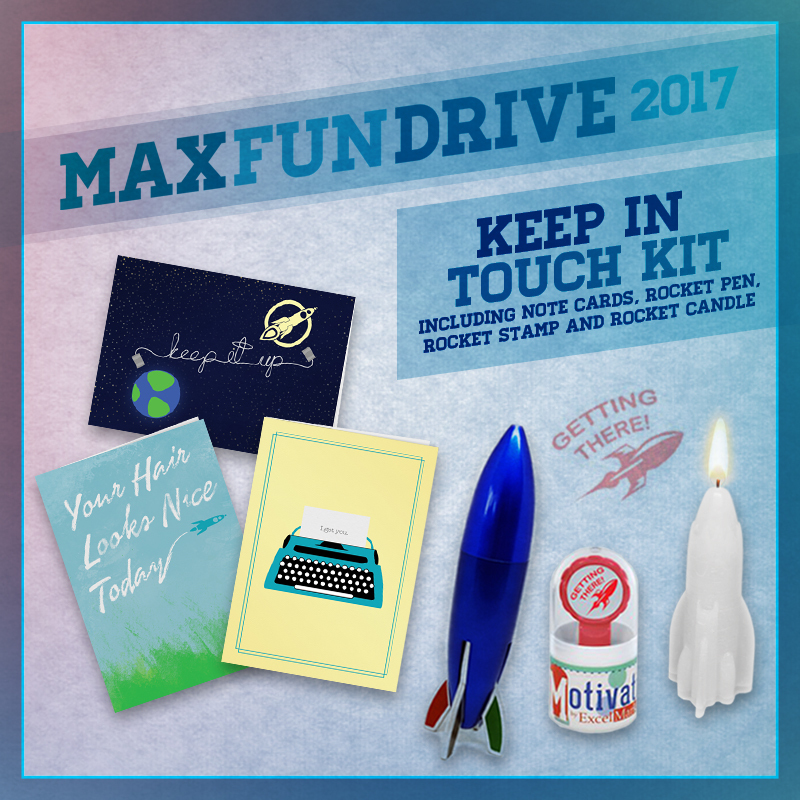 Just pick a place, email elisabeth@maximumfun.org with that location, and we'll add it to the list. If you're worried about a low turnout, invite a couple of friends. Worst case scenario, it turns into a lowkey friend hang, which is still PRETTY GREAT in our book. CONSIDERING BECOMING A GOLDEN EAGLE? 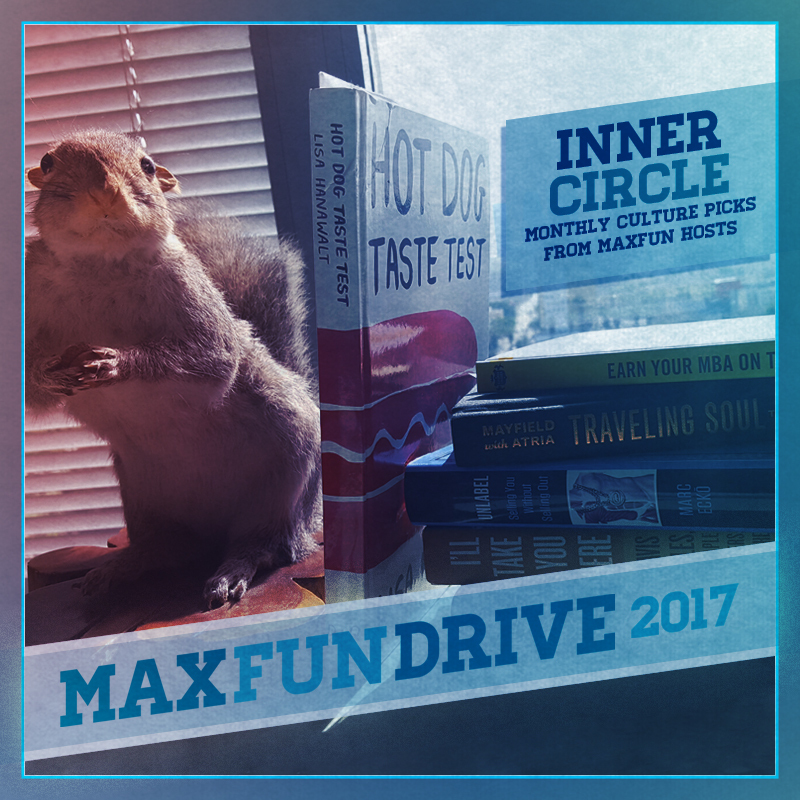 If you've been thinking about taking the plunge to become a $100 monthly member, two of MaxFun's long-standing, generous supporters want to encourage you. Together, they have pledged $100 for each of the first 12 new or upgrading members who join at the Golden Eagle tier during the drive. Now, $100 per month is a huge ask, and we know this offer won't speak to all of our listeners. But if the thought of soaring with the Golden Eagles was already swimming through your head, this is a great way to make a huge impact on our organization, support the shows you love in a major way, and make your contribution go even further. A gigantic thank you to those generous donors for introducing this challenge! THANK YOU AGAIN, DEAR MEMBERS! To new, upgrading, and ongoing monthly members -- thank you! Your support makes the shows you love possible, and we are so grateful to you for that. If you haven't become a member yet, why not knock it out now so you can enjoy the rest of the drive? Join now at just $5 per month to support your favorite podcasts and get us closer to our weird National Park party!